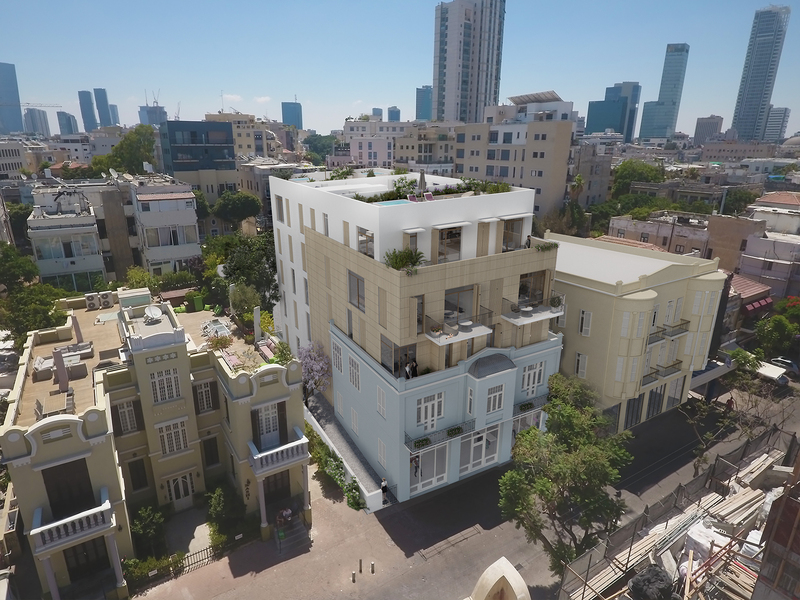 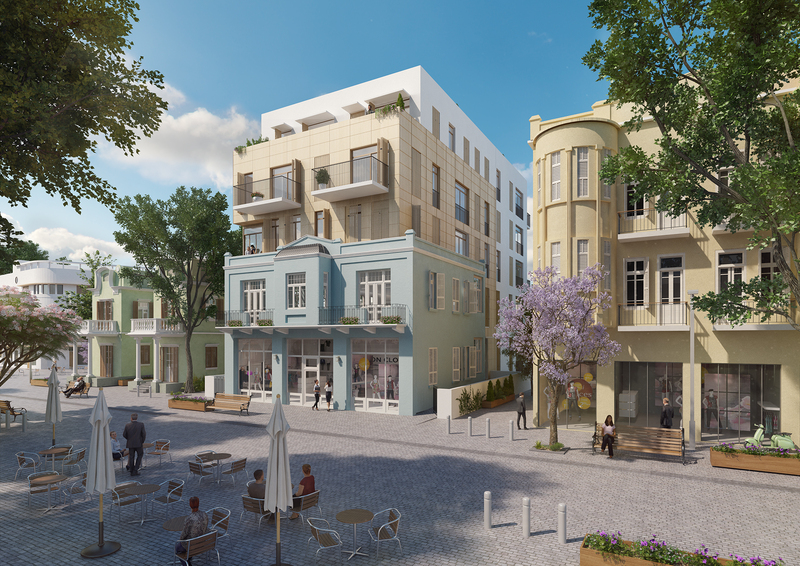 Situated in Tel Aviv’s Nahalat Binyamin, this project focuses in bringing this historical neighborhood back to life. 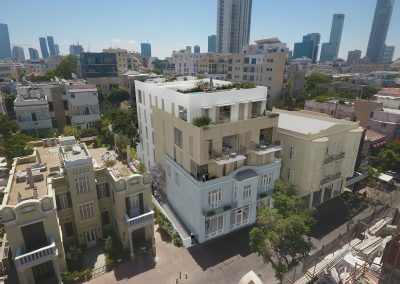 Nahalat Binyamin Street is a unique combination of simple structures, wild art-deco, eclectic buildings and 1930’s Bauhaus houses that also hosts the famous artists’ market. 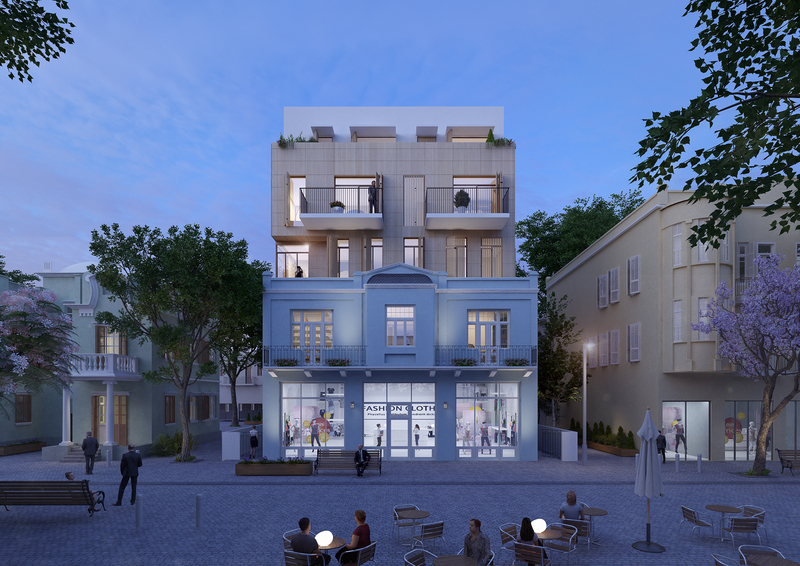 These renders offer a view of the renovated building as well as a render where the building has been placed in an existing image in order to better illustrate to the clients and investors the proportions and intentions of this project.